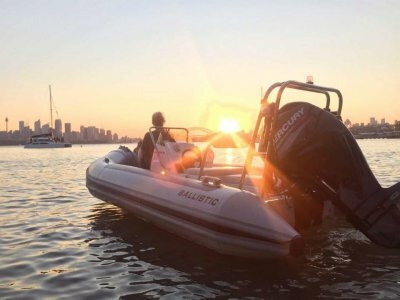 The Ballistic 5.5m step into the wonderful world of RIBs. 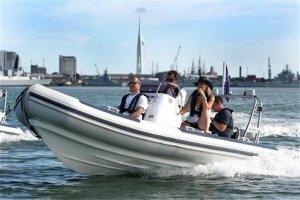 This boat is ideal for harbour and beach hopping or for just keeping an eye on the kids as they try their hand at sailing for the first time, smaller sister of the 6.0 and a cost effective model in our portfolio, the 5.5m still offers big fun. A uniquely developed solution for its size, the 5.5m is practical and safe and is one of the driest rides on the market. 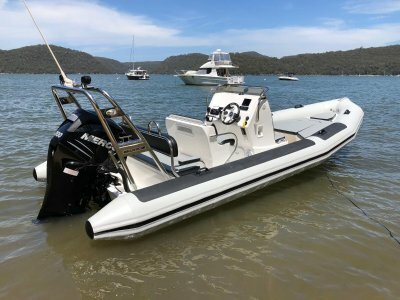 Want to take your family out on the water, enjoy a smooth, comfortable ride and have enough room to pack all the stuff for the BBQ? The 5.5m is for you. Just because it's smaller, you don't lose out on the spec. 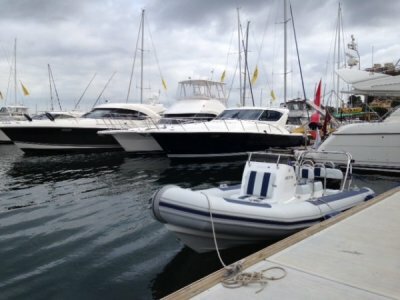 The 5.5m offers a number of features usually found on larger models, including a big console, an anchor locker, an under floor tank and a double A-frame. You won t outgrow it too soon. 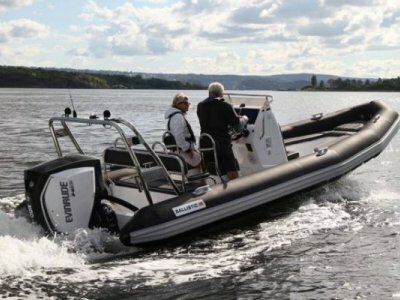 Designed to last, the 5.5m will still serve you and your family like no other RIB of its size on the water for years. Driver and navigator jockey seats can be found behind the console with a 2/3 man bench seat found at the rear. There is also a 2-man front console seat for those extra passengers. o Picnic table - where else would you eat your sandwiches!